Formatting a manuscript can be a nightmare. Amanda Luedeke, a literary agent with MacGregor Literary, gives resources on preparing your manuscript for submission or uploading it to Kindle. There are 7 short videos by Jill Williamson that take you through the process step-by-step. Writers: What are the formatting problems that trip you up? 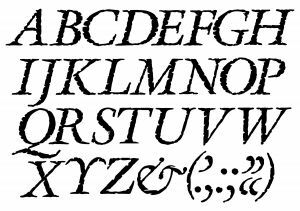 Readers: Do unusual fonts make reading more difficult for you? Please give an example. Hi Susan .. loved the picture .. when my time comes then I'll be so interested to know the process - I sort of keep an eye out now. When I post - I think it all looks fine - but Blogger does change things or they get altered slightly .. especially the titling of pictures ... I just want it to look nice and easy to read!! As Hilary says, Blogger often does crazy things with text or pictures. I find this happens with a few websites I manage too. It can be frustrating but it's a good lesson in patience. As for writing, sometimes Word does silly things, or perhaps I am the one doing the silly things...! I am usually fine with most fonts, but I have a hard time seeing type on dark colors: red, purple, navy - anything like that. A lot of magazines are guilty of this and they have whole articles I can hardly read. Thanks for the tip on the videos. Thanks for sharing the link, Susan. Amanda knows her stuff. Hi Hilary - I have difficulty with dark backgrounds and white print. It's hard on my eyes. Like you, I want my blog to look nice and be easy to read. Hi Diane - The videos were excellent. Hi Karen - Sometimes I put a graphic in the center, and it moves to the left or right. Hi Nancy - I mentioned the same problem above. Also, some of the print is too small. Hi Loree - Enjoy your weekend! Hi Sarah - Yes, I enjoy her articles. Yes, I put it back on because spammers were hitting the site. They coudn't get past the spam detector, but it was annoying always having to delete the comments. I remember having to reformat my entire manuscript. Luckily, my older sister knows all the tools for Word inside and out! She helped me, and we finished it in about three hours. I'll have to check out this website! Thank you! Just checked out the link and saved it to my Bookmarks. Thanks! Formatting can be frustrating. I know this from experience. Hi Alisa - I wish I had someone to re-format my manuscript. I'm doing edits right now, and the formatting is a mess. Hi Stephen - Yes, the word verification is a nuisance. I removed it for awhile, but my email inbox had way too many spam comments. I put it back on to give myself a rest. As soon as I put the verification back in place, they didn't attempt to comment.